Thank you to everybody who entered The Walter Swan Short Story Prize 2017-18. The competition closed in October with over 300 entries from all over the UK and internationally. The standard has been extremely high. Our judges have compiled their longlist of the top 20 stories all of which will be included in the Anthology, edited by SJ Bradley, which will be published by Valley Press in May 2018. The successful 20 writers have been contacted already. Thank you to all of you who submitted stories and we are sorry that we can’t contact you all individually. Between now and February, judges Anna Chilvers and Angela Readman will be choosing their shortlist of the 6 best stories from the 20, from which they will then choose their top 3. We will announce the full longlist and shortlist in February with the winners being finally announced at the Anthology’s launch on Tuesday 22nd May at the Leeds Library. More information about the event will follow. 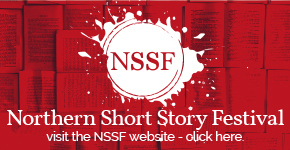 The competition is run by the Northern Short Story Festival and the Leeds Big Bookend Festival in partnership with the Walter Swan Trust.